On the outside, friends and colleagues said that there was nothing that triggered any alarm bells — but according to the latest evidence in the Germanwings crash investigation, co-pilot Andreas Lubitz's life was anything but perfect. On Friday, German investigators searching the 27-year-old's home uncovered evidence that the co-pilot of Flight 4U9525, who intentionally crashed the A320 Airbus into the French Alps on Tuesday, had been suffering from multiple personal, emotional, and mental health issues. Even more troubling were sources close to Lubitz who maintained that Lubitz hadn't just hid his problems — he masked them with a different face completely. The New York Times reported Friday that one of Lubitz's fellow LSC Westerwald aviation club members had described him as "cheerful, careful pilot" whom no one could have ever guessed would have committed such a devastating act. "Flying was his life," said the anonymous friend in a comment to Reuters on Friday. "He always used to be a quiet companion, but in the last year that got worse." 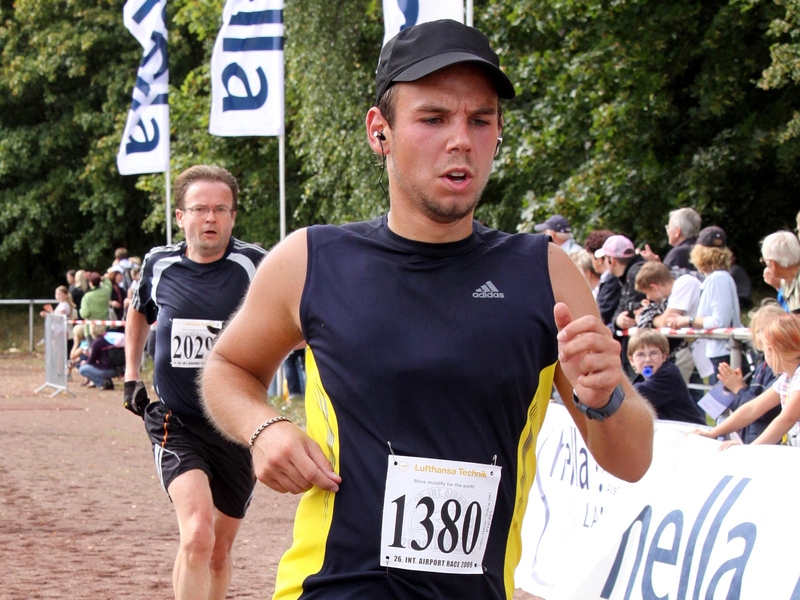 Lubitz's friend also stated that they had noticed a change in his demeanor over the previous year and that the co-pilot had begun to "retreat" into a shell, hardly speaking to anyone. The same Montabaur flight club where Lubitz had first learned how to fly wrote in a statement on their official website (which has since crashed) earlier this week — before Lubitz' part in the crash was revealed — that Lubitz, who had flown over the very location of Tuesday's crash multiple times during his training, was a happy, eager student simply looking to achieve his lofty goals. As a youth, Andreas became a member of the club, he wanted to see his dream of flying fulfilled. He started as a gliding student and managed to become a pilot of the Airbus A320. He succeeded in fulfilling his dream, a dream that he paid for with his life. The members of LSC Westerwald are grieving for Andreas and all the other 149 victims of the catastrophe of March 24, 2015. ... We will not forget Andreas. Lubitz's neighbors have lamented the loss of a young man that they had seen as healthy, happy, and generally positive. "He definitely did not smoke. He really took care of himself. He always went jogging. ... He was very healthy," said neighbor Johannes Rossmann in a comment to the Associated Press on Friday. Local papers reported Friday that Lubitz's other neighbors had described him as "friendly" and always "[pursuing] his dreams with vigor". But reports from Lubitz's doctors told a much darker story than his neighbors and friends could have guessed. Friday, Düsseldorf University Hospital confirmed in a statement that it had been treating Lubitz for an undisclosed condition. "We want to express our dismay, our horror and disbelief," wrote the hospital spokesperson, who promised to cooperated fully with investigators whenever possible. Lubitz's records, for the time, are being kept private due to patient confidentiality laws. Whatever was plaguing Lubitz is still a mystery, but investigators were able to catch a small break on Friday, following the discovery of ripped up sick-day notes from the Lubitz's doctor in the pilot's home. "The fact there are sick notes saying he was unable to work, among other things, that were found torn up, which were recent and even from the day of the crime, support the assumption based on the preliminary examination that the deceased hid his illness from his employer and his professional colleagues," said German authorities in a statement on Friday. According to a yet-to-be confirmed report by German newspaper Bild Zeitung, Lubitz may also have been in a distressed emotional state after a "relationship crisis" with his girlfriend, which may have further exacerbated any mental health problems. Some have questioned why things ever got as bad as they did and why no one thought to evaluate Lubitz's condition in the first place. French Prime Minister Manuel Valls urged aviation officials on Friday to divulge all possible personnel details in order to find out why the co-pilot had been allowed in the cockpit the morning of the crash. "Everything points to this act that we are unable to qualify - criminal, mad, suicidal," said Valls in a statement. "How can one imagine that a pilot in whom one has full confidence ... could precipitate the plane into the mountain, after closing the door to stop the (other) pilot from entering the cabin?" Lufthansa CEO Carsten Spohr insisted that there was no way anyone could have known that the happy, polite co-pilot could have ever made the move he did, even with stricter psychological evaluations. "He was 100 percent fit to fly," Spohr told The Telegraph. "There was no particular thing to note or to watch out for (in him)." Regardless of emerging details, Lubitz's friends and family remember him as a gentle soul. "He gave off a good feeling," said fellow flight club member and friend, Peter Rücker in a comment to the Associated Press. "... He was doing well." So far, nobody in Lubitz's immediate family has made a public comment.